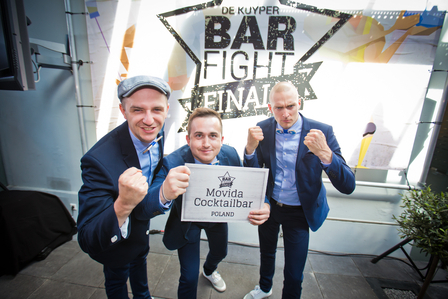 De Kuyper’s ‘Barfight’ is a cocktail competition with two key distinctions - it is about team participation and it is fun. 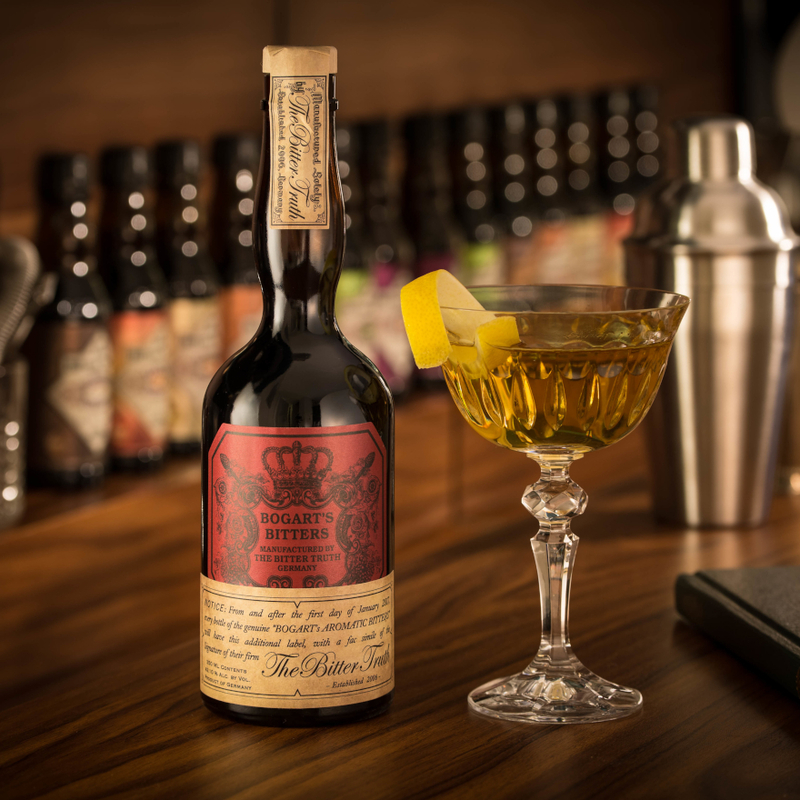 Round one consisted of an online cocktail competition with bar teams around the world uploading films featuring their easily replicable cocktails using De Kuyper liqueurs. 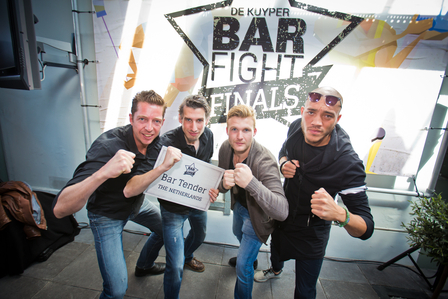 Some 40 bar teams entered this, the first ever De Kuyper Barfight. 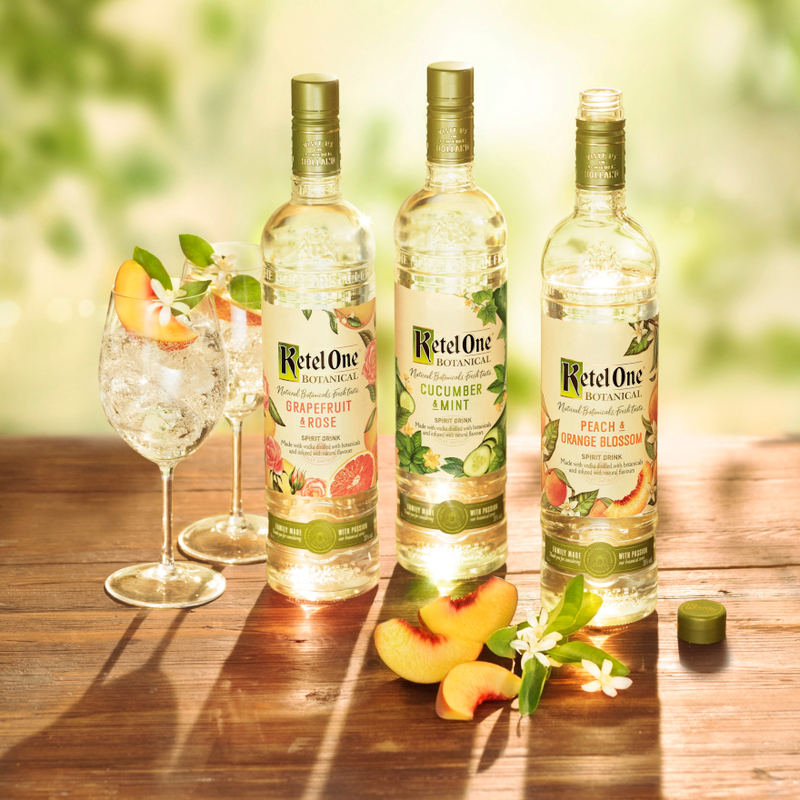 A judging panel with Arno van Eijmeren and Nicolas Saint-Jean, De Kuyper's brand ambassadors, selected the top 15 teams and subsequent online voting earned six of these teams a place in the final, held at De Kuyper's Distillery in Schiedam last week (15/June/15). 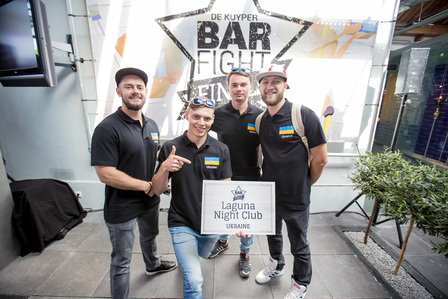 Naturally it was those teams with the more entertaining movies that gained the most votes and the video above earned team Jaxx from Romania a trip to the Netherlands to compete in the final, where by a narrow margin, they won the €10,000 prize. It was a day filled with fun games, some serious cocktail shaking and bar fights in the ring. It's common to throw bottles to colleagues in a bar and a team's ability to throw to each other was tested with fresh eggs over an ever increasing distance. White protective suits proved very necessary. A team's ingenuity, speed and tray carrying skills were tested by seeing which team could transport the most water using only a tray and martini glasses. Sometimes pure strength is what's required. Communication and team skills were tested by one team member instructing the other who was blind folded. 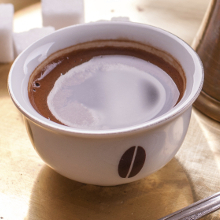 The teams were given a neutral alcohol base and sugar and challenged to blend their own liqueurs using a choice of concentrated infusions and distillates. Ignore the colours, dies were used to make identifying what flavour each liqueur sample was more challenging. 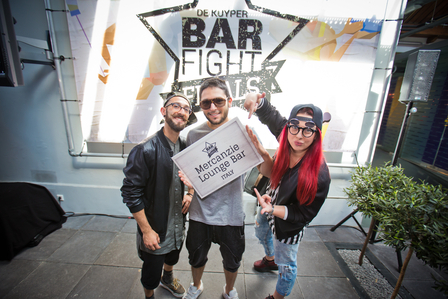 Ahead of the Barfight commencing, Nicolas Saint-Jean stepped into the ring to show how it should be done. Albert de Heer, De Kuyper's Marketing Director, Global Brands, showed hidden talents by ably manning the decks in the background. Members of each team take it in turns to tag in and out of the ring, each making one of the four cocktails demonstrated by Arno van Eijmeren: classic Margarita, Vodka Espresso, Bramble and Strawberry Caipirinha. The teams were judged on speed and the quality of their cocktails. Another round judged the teams' ability to entertain the assembled guests around the ring. A hard day's judging for Nicolas Saint-Jean and Arno van Eijmeren. 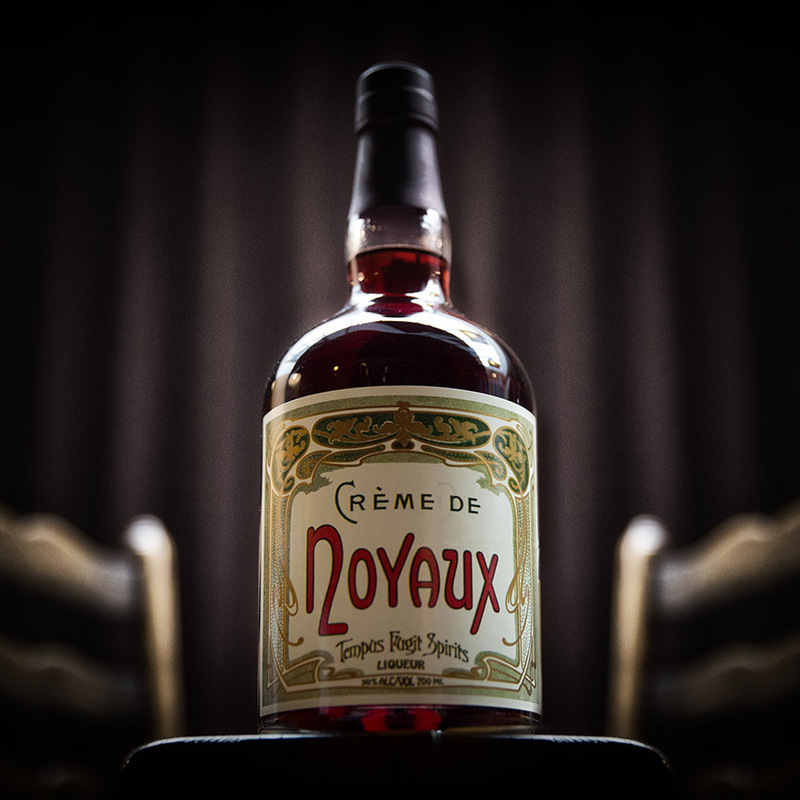 An example of one of the signature drinks, very creatively presented in a De Kuyper bottle with the top cut off. The top three teams were so close that a pour test decided the winner. 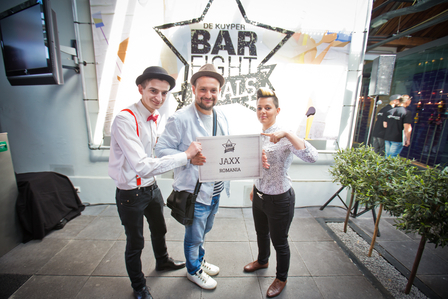 Congratulations to Jaxx from Romania, the winning team.